mommy summers: Things I love Thursday! I'm so excited to continue doing Things I love Thursday with Diana! 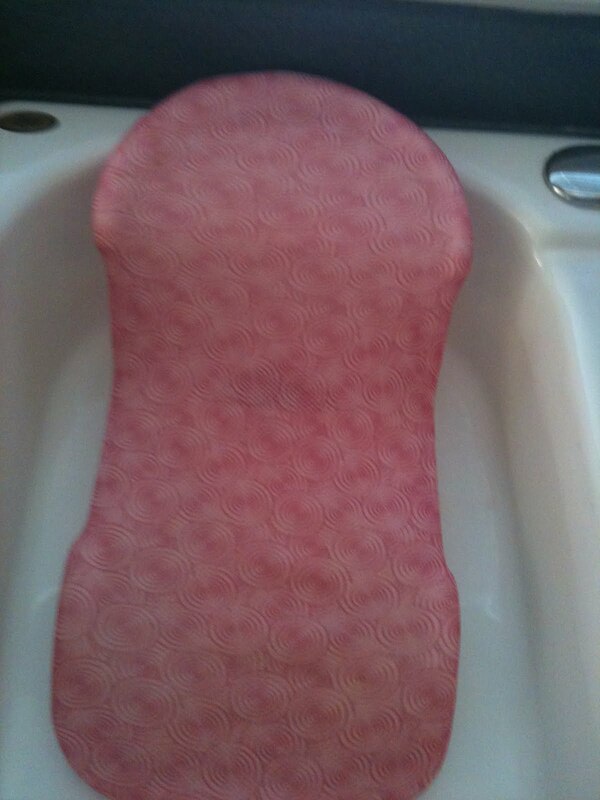 This cute little pink bath chair! This past week I've been going crazy with cleaning and getting all the stuff ready for my sister's baby shower this weekend. I've been tired and very sore when it comes to bath time. Usually Abigail and I just take a shower together, and sometimes we just soak in the tub for a few minutes, but the last couple days I've been ready to just fall over and sleep, so this chair is coming in handy. We just put in it the sink, sometimes I even put a bar stool up to the counter and put her in and it makes bath time nice, quick and comfortable. Even better it was only like $7 at Wal-Mart. I love Wal-Mart. Hubs and I like to bargain shop, well he likes it when I bargain shop, he could really care less though. We've been able to get some really good deals on some things that we could go expensive with, like this bath chair! I registered for a tub and now I'm glad I don't have it. It would be huge. This is small and hides in my sink most the time. So that is what I love this Thursday! Can't wait to see what everyone else loves!